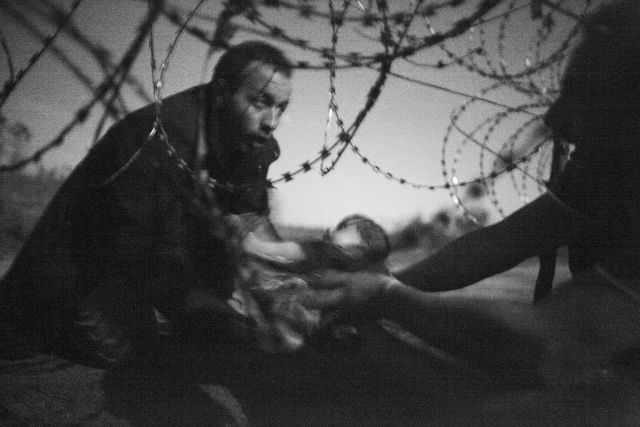 This year's World Press Photo of the Year Award went to Warren Richardson's image of a refugee passing a baby through the fence at the Serbia and Hungary border. Entitled 'Hope for a New Life', this image was taken in early hours in summer 2015. The man and child captured in the picture were part of the movement of people trying to cross into Hungary before a secure fence on the border was completed. This disturbing photograph is part of Richardson's series Refugee Crisis Hungary, which includes many images that are grainy and blurry - some would say technically imperfect - but it only makes them more real and convincing.